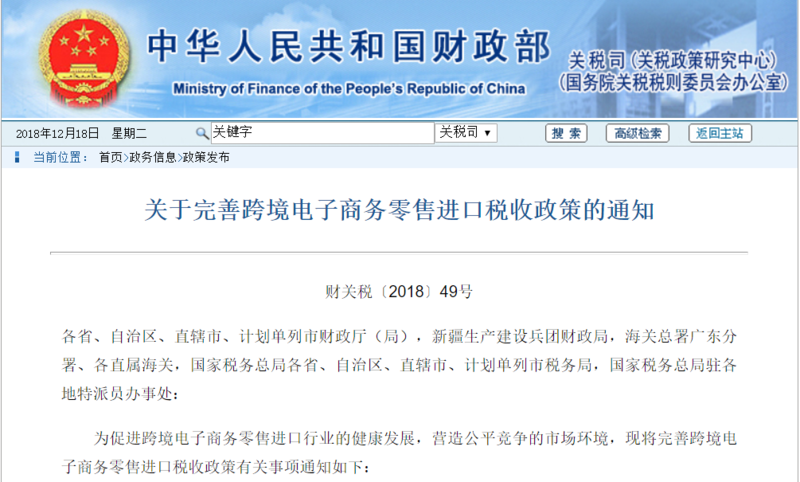 The single transaction limit for CBEC retail imports will be raised from RMB 2,000 to RMB 5,000, and the annual transaction limit will be raised from RMB 20,000 to RMB 26,000. 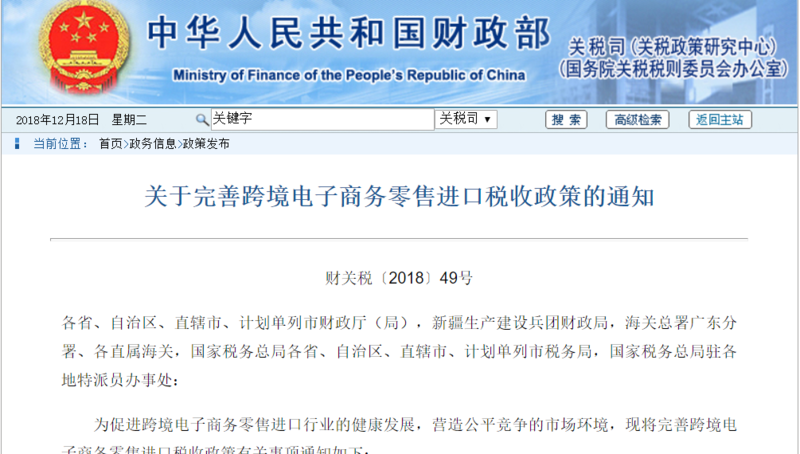 Additionally, if one transaction is valued more than RMB 5,000 but just one product is purchased, and the buyer has not exceeded the RMB 26,000 annual limit, CBEC conditions will still apply. But once the annual limit is exceeded, traditional trade conditions will apply. Goods purchased through CBEC are for personal use only and cannot be resold. Outside the special bonded houses, all CBEC transaction procedures must be done online, so “online purchase + offline pick-up” it is not allowed. Changes will be implemented from 1st January, 2019.